Help provide freedom and peace for orangutans. The siege on wild orangutans is real and it is happening now. We need your help now more than ever to help shape the future of these magnificent creatures and the forests they call home. 2018 began with heartbreak and tragedy. It is with deep anguish that I will relate some recent events. 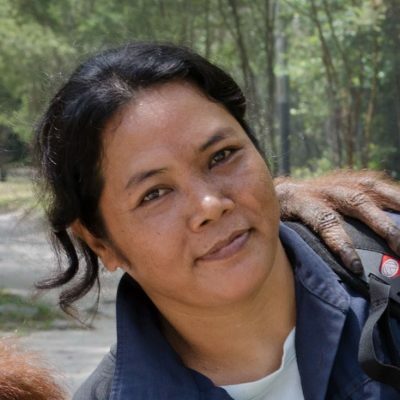 I dread beginning my letter in this way, but I believe it is of utmost importance that you – our supporter, advocate, and friend – are aware of the dire situation facing orangutans in Indonesia. In January a male orangutan was found dead, floating in a river in our province, Central Kalimantan. He had been beaten, stabbed, shot with an air rifle, and decapitated. It is evident that this orangutan suffered extensive trauma before he was finally killed. Fortunately, the police took this incident very seriously due to extensive outrage on social media. The police investigated and two plantation workers were arrested in relation to this crime. Then in February a second orangutan was found almost dead. He had been shot with an air rifle, rendering him blind. He had severe bruises all over his body from blunt force trauma. Although miraculously found alive, he passed away from his injuries the following day. Never has an orangutan been found alive in such an appalling condition. Four farmers and a 13-year-old boy were arrested for this crime. The siege on wild orangutans is real and it is happening now. As extreme deforestation continues, more and more orangutans become refugees, fleeing destruction and coming into closer contact with palm oil plantations and farms. Misguided plantation workers and farmers view orangutans as monsters, pests, food, or a quick source of cash, as some plantation owners will pay handsomely to have orangutans killed. However, these orangutans are not just killed, they are tortured. They suffer unspeakable acts of cruelty before they are executed or left for dead. This senseless, unnecessary violence does not have to continue. There is another way. I will share another story with you now; an alternative path to the horrific fate that far too many orangutans fall victim. A story of resilience, compassion, survival, and hope. Noni was discovered as a tiny infant. Her mother was killed when their forest home was cleared to make room for plantations. Noni would not have survived as a vulnerable orphan on her own. She would have starved, been captured and sold into the black market as an ill-fated pet, or tortured and killed. Fortunately, she was brought to Orangutan Foundation International’s (OFI) Orangutan Care Center and Quarantine (OCCQ) facility. Noni was sick when she arrived at the OCCQ. Our staff gave her round the clock attention, even sleeping with her every night to ensure her comfort and monitor her condition. Daily medical attention, rehabilitative care, and love from OFI’s dedicated team helped Noni regain her health and strength. 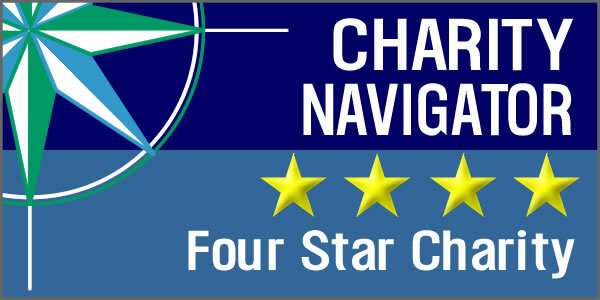 Our caregivers became the best possible replacement for the mother she lost, and soon Noni began to thrive. 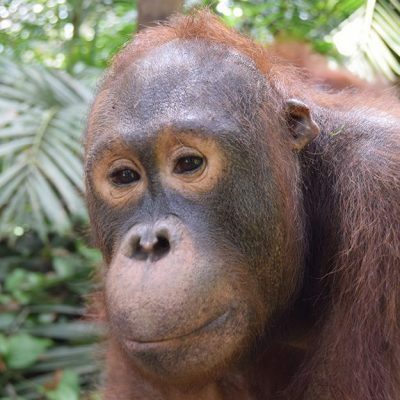 She gained forest skills and grew into a smart, responsive, and calm orangutan with beautiful eyes and a healthy coat of orange hair. The time came for her to return to the wild as a strong and confident adolescent orangutan. The day of Noni’s release was bittersweet. Her caregivers were sad to say goodbye but elated that she had a second chance at survival and freedom in her rightful home. OFI staff drove Noni and three other rehabilitated females to a safe release site. When the gate of her crate opened, Noni calmly observed her surroundings, socialized with the other released females, and began building a nest. She applied all the forest skills she learned at the OCCQ and became a successful free ranging orangutan. 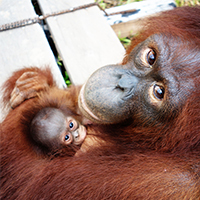 Noni was recently spotted in the forest, three years after her release, with an infant of her own. How do we ensure that more orangutans have a future like Noni’s? 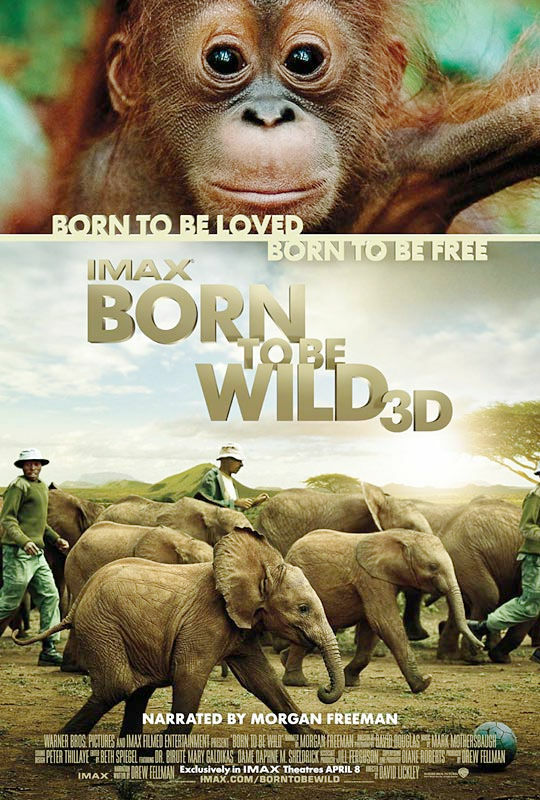 How do we stop the brutality and violence we have seen against so many wild orangutans? The answer is clear. We must halt orangutan habitat destruction by purchasing and protecting safe forested areas. We must rescue orangutans that are in danger, rehabilitate them, and safely release them back into protected wild spaces. We must educate locals and the global public about orangutans. We must provide a future of freedom and peace for wild orangutans, rather than one of torture and extinction. Noni thrived in the wild because she had a safe, expansive habitat to roam. When orangutans are discovered near plantations, farms, or other dangerous areas, they need to be translocated and released into protected forest areas. Otherwise they may suffer a horrific fate. Our Protect and Patrol program actively protects areas of forest through patrol teams, guard towers, fences, and local support to secure the forest for its wild inhabitants. That is my mission and the mission of OFI. Will you join us? We need your help now more than ever. I am asking you to make a gift today, as significant as possible, that will help shape the future of these magnificent creatures and the forests they call home. Every bit will help. Will you please make a gift today in support of our Protect and Patrol program, to help us end the violence and ensure a peaceful future for wild orangutans? Every individual orangutan matters. To lose one is to lose a key link in the survival of the species. If we all commit to doing something and encourage others to do something, no matter how small, we give them a reasonable chance for the future.